Lava has launched on Wednesday two new smartphones of Z-series in the Indian Market, called Lava Z10 and Lava Z20 that have been priced at Rs. 11,500 and Rs. 18,000 respectively. Both the smartphone will be available to purchase from March 23rd at select retail stores in Delhi. Lava Z10 comes in Gold color while Lava 25 in Champagne Gold and Grey color variants. 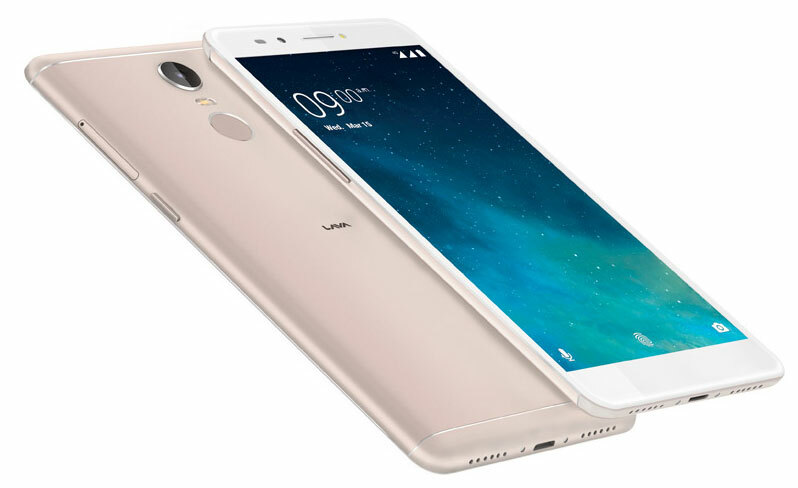 Lava Z10 come with entry-level specs and Lava Z25 is a mid-range smartphone so the company incorporates some distinctive features in the phone. As for the specs and features of Lava Z10, it provides a 5-inch HD full lamination display carries a resolution of 720 x 1280 pixels. It is powered by 64-bit MediaTek MT6735 clocked at 1.3 GHz quad-core along with Mali-T720 GPU and 2GB of RAM. Users get 16GB of internal storage which is expandable up to 128GB via microSD card. The phone runs on star 0S 3.3 based Android 6.0 Marshmallow out of the box. It has a dual-SIM slot supports both 4G and 3G networks. The Z10 sports an 8-megapixel 5-layer Largan lens of primary camera with f2.0 aperture and LED flash. On the front side, it also comes with 8MP front-facing camera with LED Flash. It offers a 2650mAh battery, 3.5mm audio jack, and FM Radio. Other notable features include 4G VoLTE, WiFi 802.11 b/g/n, Bluetooth 4.0, GPS and micro USB 2.0 port. The handset is mere 8.4 mm thin and weighs 148grams. Coming to the Lava Z25 specs, it is equipped with a 1.5 GHz quad-core 64-bit MediaTek MT6750 processor along with Mali T860. You get a 4GB of RAM for smooth multitasking and 32GB of internal storage that can be expanded up to 128GB via microSD card. The dual SIM supporting handset runs on Android 6.0 Marshmallow with Star OS 3.3 on the top. The Lava incorporates 3020 mAh battery and a fingerprint sensor at the back panel as well with 0.16 seconds response time as per the company. In the camera department, Lava Z25 offers a 13-megapixel of rear camera with PDAF, f2.0 aperture and Sony IMX 258 Exmor RS Sensor while the front facing camera is an 8MP with LED Flash for selfies and video calling in low lighting condition. Connectivity options include 4G with VoLTE, WiFi (802.11 b/g/n), GPS/AGPS, Bluetooth, 3.5mm audio jack and a micro USB port as well. To get more information about upcoming Lava’s phones, stay tuned with us.